The National Flag may now be flown by night as well as by day as long as it is properly illuminated, preferably by spotlight, in accordance with amended protocols. Senator Mark Daly, who is a member of the Governments All Party Consultation Group on the Decade of Commemorations chaired by the Minister for Arts Heritage and the Gaeltacht, worked with the Taoiseach’s Department and the Thomas F Meagher Foundation to amended the previous guidelines. Senator Daly commented “protocol are created from precedent, the research of the history of the Tricolour shows that the first time the tricolour flag was flown by Thomas F Meagher was on Mach 7, 1848 and it flew continuously day and night until removed by the authorities. “The second occasion it was flown was from the GPO on Easter Monday 1916 and again it flew day and night until the end of the Rising. The protocols and guidelines have been changed to reflect the history and origins of the flag and allow for the flag to be flown at night once illuminated. So it is entirely appropriate to fly the flag with pride and respect at all times,” he said. Senator Daly succeeded in having a resolution adopting the protocols from the Department of the Taoiseach passed unanimously by the Senate. It was the first time either house of the Oireachtas formally adopted the guidelines for the National Flag. 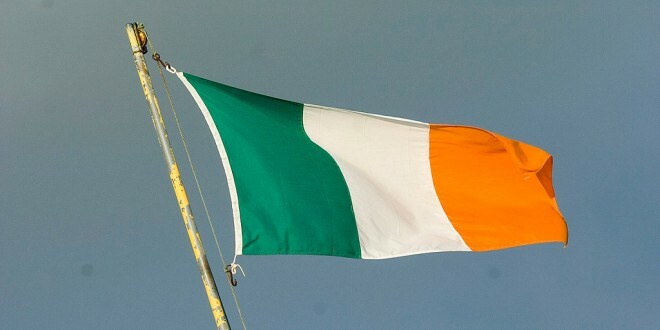 The Irish Flag and its significance is as important today as it was when Thomas F Meagher first raised it on March 7, 1848 and explained its symbolism.